The Max HotKick™ is a mobile heating unit for rehabilitation work on pipelines up to 8 inches in diameter. The HotKick is small and easy to Handle, which makes it ideal to use in all circumstances and places. Special advantages include that rehabilitation can be carried out at low temperatures, hardening time for epoxy is shortened considerably and the unit is very portable as well as affordable. Moblie heating system with fully encased circulation system. Includes connections, ball valves and manometer to optimize control of the water circulation. For mobile or stationary use, can be moved on step roller. Water flow rate: 5-7 g.p.m. Temperature increase: ~105.8 degrees at 5 g.p.m. 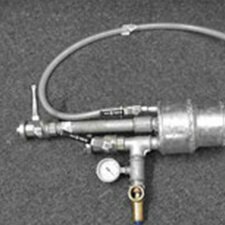 HotKick™ is a mobile unit equipped to increase production by decreasing curing time when doing lateral lining. 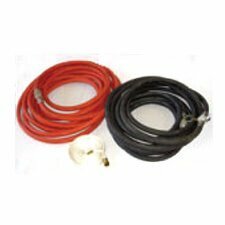 Two Red 25´ supply hoses and two Black 25´ return hoses for water circulation. A 3/4″ x 50´ layflat hose used to distribute hot water to the far end of the cal tube.